It was a cool, grey morning when I dashed out the door and told my parents I was going to watch a rugby game. I knew by the looks on their faces that they knew as well as I did that the “friend” I was going to watch play wasn’t just a friend anymore. By the time I got to the rugby field on the other side of the city, a drizzling rain had started. I was wearing a light fleece jacket. That was nine years ago this fall and a significant moment in our relationship for both of us. He knew if I was willing to stand out in the rain watching him play rugby—me, the girl who’d had to ask him if Canada played in the NFL—then I was pretty serious about him. A few decades before that, his mom had showed up at 1 am to watch his father play hockey on a fun league and that ended as one of their first dates. Over the next year, as our relationship turned serious, I watched more rugby games. I even joined the girls’ team the next summer and played one game before my husband wrecked his knee and was out for the summer. By the time I was taking Sunshine to watch games with me, I knew exactly what was going on—and when to yell encouragement. 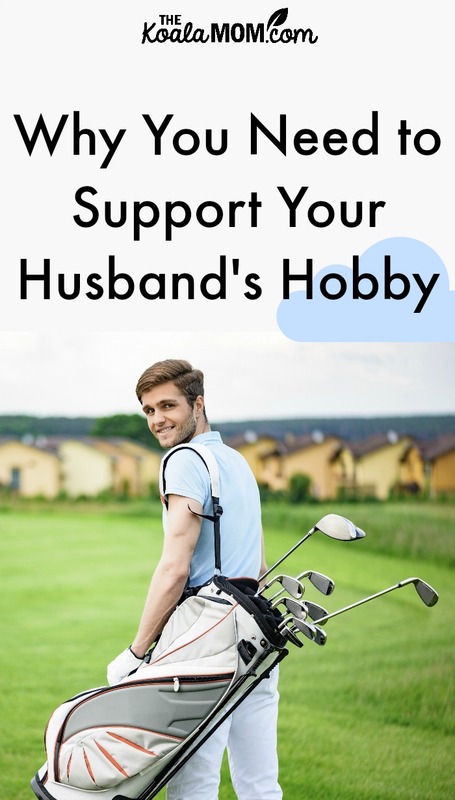 Whether he is into sports or hiking or model-building or cars, support your husband’s hobby. I grew up in a family that never played sports and I wouldn’t have thought I’d get into watching a bunch of men run around a field (often in the mud and rain) chasing a ball, but because my husband was into it, I got into it. He’s played much less since going back to school, and I’ve missed a bunch of his games because it’s hard to watch him and three girls on the sidelines at the same time, but I have fond memories of spending time around rugby games with him. That’s not to say that supporting his hobby was always easy. He had rugby practices two nights a week and a game (or two) on the weekends. There were often nights when I wished he had a less time-consuming hobby, or one that didn’t require the same level of commitment. There were also aspects of rugby culture that I didn’t appreciate. However, the look on his face when he played a good game was always worth it. I knew that rugby was the stress-relief he needed after an afternoon of classes or a night at work, and so I tried to work my schedule around his and to make it to his games whenever I could. Maybe your husband’s hobby bores you to tears. My dad and my brothers were all mechanics who loves tinkering with vehicles. During my teens, when my brothers were working for the farmer down the road, my dad liked it when I passed him wrenches. I soon learned where to find most of the tools in his toolbox, and it was a chance to spend time with my dad, but to this day, I’m quite happy to pay a mechanic’s exorbitant rates to fix my vehicles. It’s not about what you’re doing; it’s about spending time with him and getting to know him. What are your husband’s interests? How do you support your husband’s hobby?